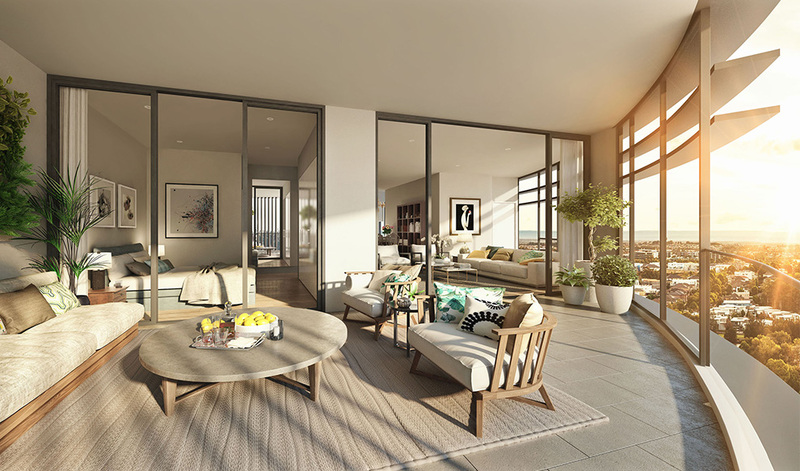 Whether you’re sharing your space with friends and family or simply relaxing at home, each fluid residence tells a beautiful story that resonates with the majestic surrounds. Filled with sunshine, air and space, their prime north eastern lakefront setting is all about aspect and the quality of the light. Open layouts and spacious living areas create a superior sense of flow and wellbeing with sky-high island kitchens delivering truly atmospheric dining. Striking from a distance and enlivening within, Esplanade’s curvaceous dual residential towers bring the beauty of the lakeside environment into crystal clear focus. As you enter the homes, first impressions are stunning and expectations soon surpassed. 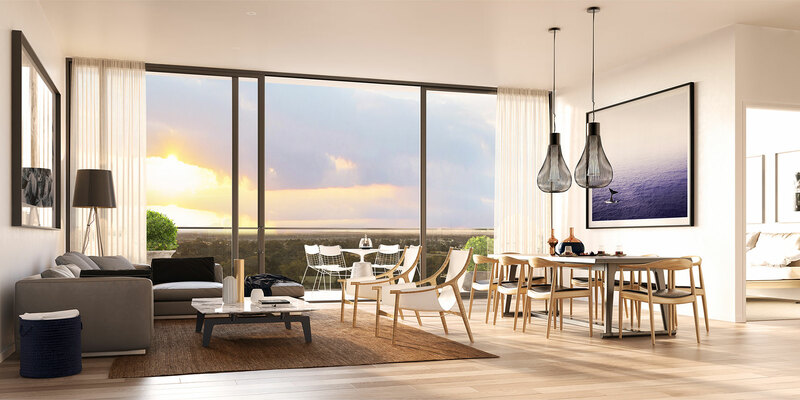 Walls of glass capture panoramic vistas over the water, city and distant Blue Mountains drawing the landscapes into the very heart of the living spaces. 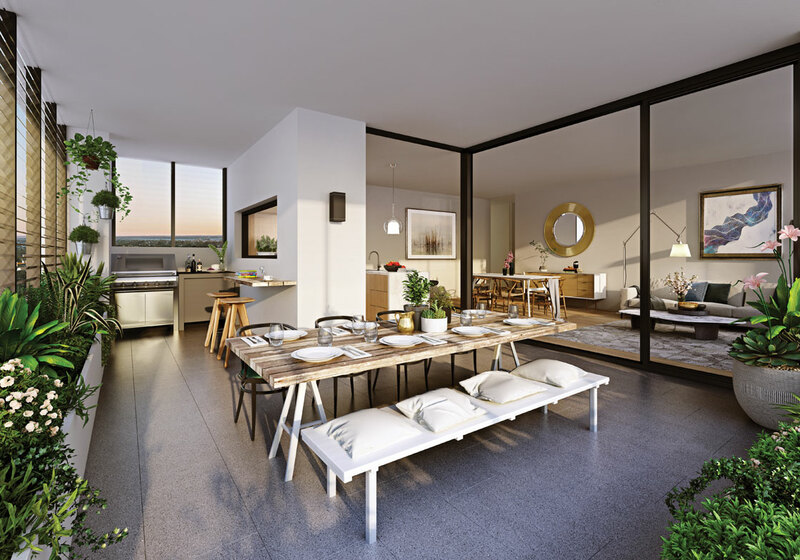 Floating high above Esplanade’s vibrant new dining precinct, residents pool club and tranquil sky gardens, this is your sanctuary in the sky. Two gorgeous finishing schemes – Gleam and Lustre – let you choose the interior world that best reflects your own style. Materials evoke the warmth and beauty of the waterfront landscapes, awash in the natural richness of a neutral palette. 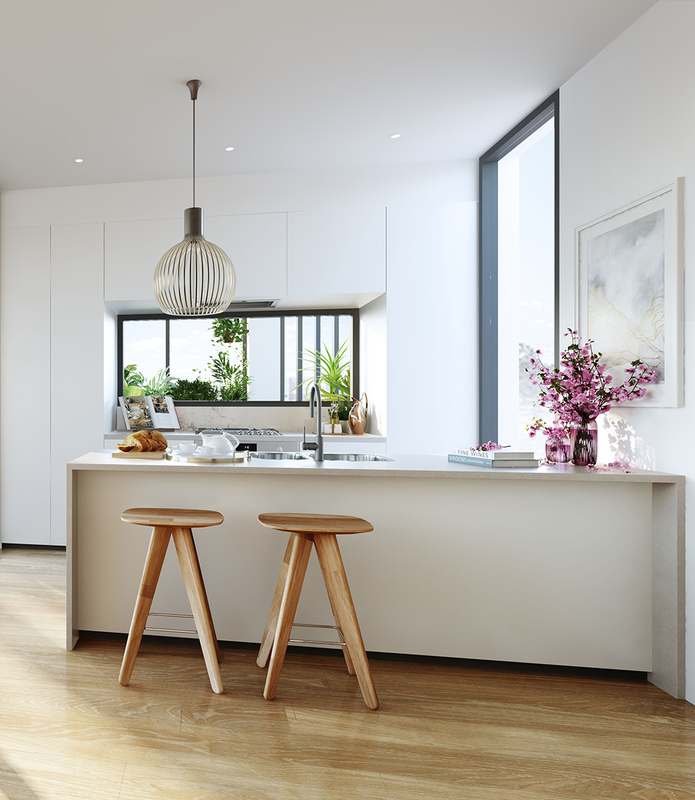 With stainless steel applicances, kitchens feature spacious pantries and elegant stone benchtops with mirrored splashbacks and chrome shadowlines adding glimmers of lakeside reflection. Indulgent bathing environments are beautifully finished in elegant timber-look and stone grey tiles to shape soothing, Zen-like private zones. Premium quality inclusions and plentiful storage deliver a practical sense of home and a residence of enduring value.